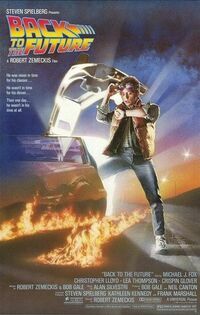 The first film of the trilogy as teenager Marty Mcfly travels back in time with help from his friend and time machine inventor Dr. Brown. Marty travels from 1985 back to 1955 running into people he knows like his parents. When it’s time to go back to the future Marty runs into a few unforeseen problems and time is running out.